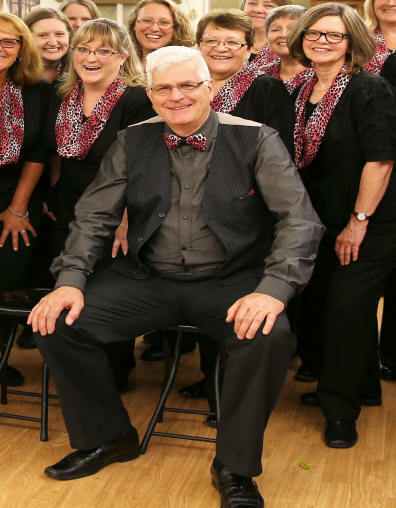 The Avalon Singers are thrilled to have Brad Hawkes add his incredible talent to our concerts. The difference his percussion makes to the sound and energy of this choir is truly amazing! It is a privilege to have him with us. Brad's love of drumming started as a young lad in the 60's. He is completely self-taught... a natural! In the 70’s he joined a rock band led by his older brother. They’d pile the gear into the van and play top gigs all around Prince George. Brad focused less on his drumming while establishing himself. He married Lorraine in 1974 and pursued his education achieving a B.Sc. in Forestry in 1976, and a M.Sc. in 1979 from the University of Alberta. Their children, Stephen and Sarah arrived in the early 80's. In 1993, Brad earned a Ph.D from the University of Montana. Dr. Brad Hawkes became an accompished and well published Scientist specializing in Fire Research and Environmental Science. In the mid 90’s, his day job well established, Brad could focus on his favorite pastime. He developed his musical repertoire playing at Mass and for a variety of musicians. Today, and now retired, he has been recorded on well over 40 CD’s for a number of songwriters and bands up and down Vancouver Island. 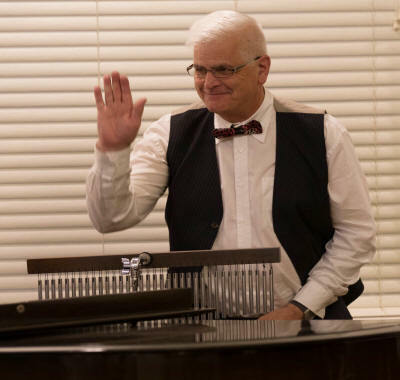 His music styles include folk, country, bluegrass, celtic, jazz, rock, latin, persian, blues and choral. Most recently he was a finalist in solo/duo in the International Blues Challenge and currently has several ongoing gigs with a fabulous group called Paradise Street. Brad is well represented on YouTube, Avalon Singer Concerts, our Channel, and you can often check where he's playing. Discover his daughter's Honour Design too!